ALEXANDRIA, IN- Donna L. (Perry) Smith, 96, went to her heavenly home from the Rawlins House in Pendleton on Saturday, January 12, 2019 following an extended illness. 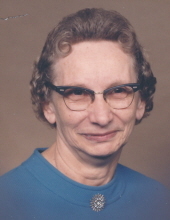 She was born on May 17, 1922 in Anderson to Lewis Andrew and Bertha Blanche (Osborne) Perry and has lived in Alexandria for more than 60 years. On March 16, 1941 she married William C. “Smitty” Smith whom she laid to rest on December 8, 2006 after 65 years of marriage. Donna had worked in food service at the 9-35 Truck Stop alongside her mother-in-law, at Don’s Bar-B-Que, formerly of Anderson and Anderson College. She attended and was a founding member of Riverview Church of Christ in Christian Union in Alexandria where she was also pianist. She played and sang with many gospel groups throughout the years. Having taught herself to play piano as a child, piano music remained an important part of her life, and she continued to delight and inspire with her unique talent as recently as Christmas of 2017. She was preceded in death by her parents, her husband-William in 2006, a daughter-Linda Wilson, 3 brothers and 1 sister. Services honoring Donna’s life, legacy and faith will take place at 6 pm on Friday, January 18, 2018, in the Owens Funeral Home, 412 North Harrison Street, Alexandria with Pastor Tim Cunningham officiating. Cremation will follow the services with private interment of cremains in Maplewood Cemetery in Anderson. Friends may call at the Owens Funeral Home on Friday after 4 pm prior to the services. Memorial contributions are suggested to the Humane Society or to Riverview Church of Christ in Christian Union with envelopes available at the funeral home. To send flowers or a remembrance gift to the family of Donna L. Smith, please visit our Tribute Store. "Email Address" would like to share the life celebration of Donna L. Smith. Click on the "link" to go to share a favorite memory or leave a condolence message for the family.